M.E.C. provides engineering services and millimeterwave components to frequencies above 90 GHz. Our extensive millimeterwave experience gained from various programs, such as providing radiometer antennas for NASA’s Nimbus spacecraft, places M.E.C. in an excellent position to assist in system definition and to conduct components development. 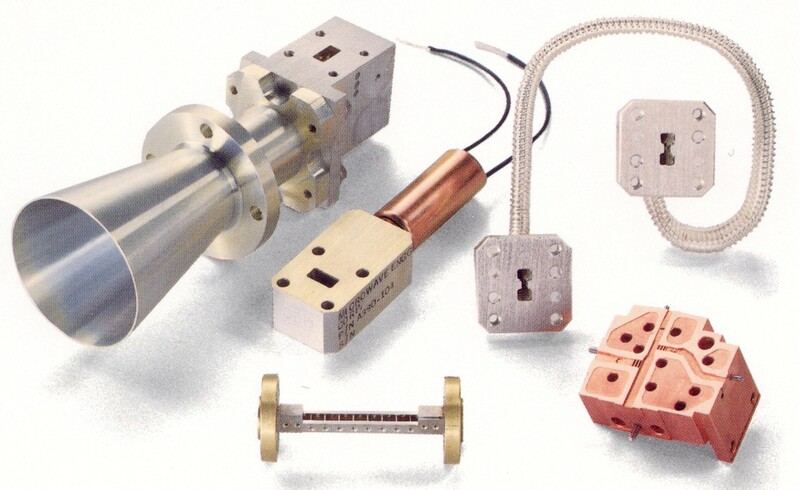 Examples of components supplied to meet unique customer requirements are shown below. Millimeterwave product capability includes antennas (feed networks, polarizers, ortho mode transducers), couplers, filters, transitions, adapters, waveguide bends and twists, and other components. 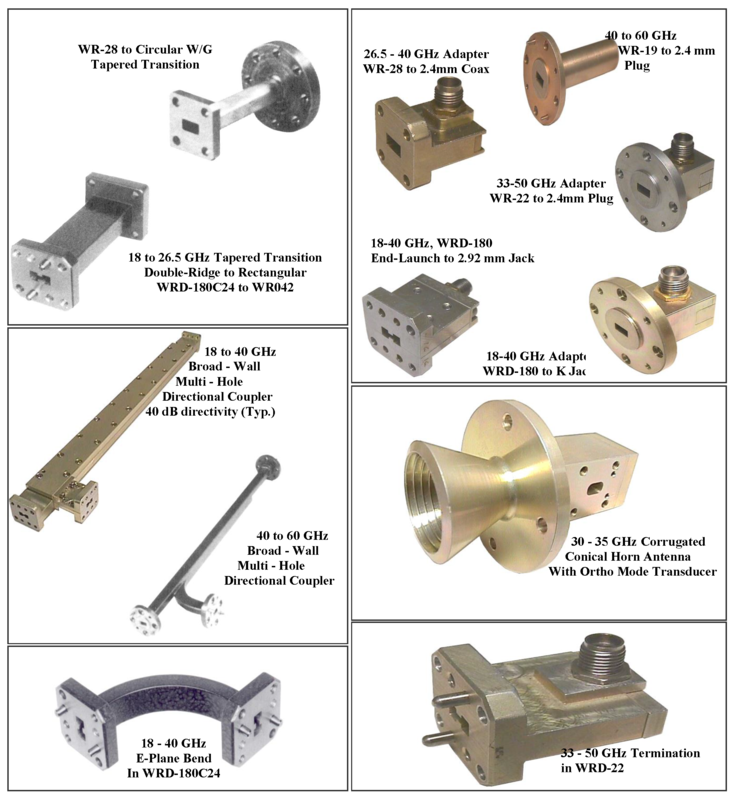 M.E.C.’s flexible WRD180 waveguide has excellent stability and perform­ance, 18-40 GHz, loss <1.2 dB/ft, VSWR <1.2:1, and are available alone or in pre-bent assemblies with rigid sections and pressure windows. Switches and shutters are designed for cellular communication and commercial applica­tions, providing over 40 dB of isolation with high reliability and low cost. M.E.C. provides full spectrum bandpass, band reject, lowpass, and absorptive filters, up to 90 GHz individually or in combination with horn antennas, OMT’s, and polarizers. 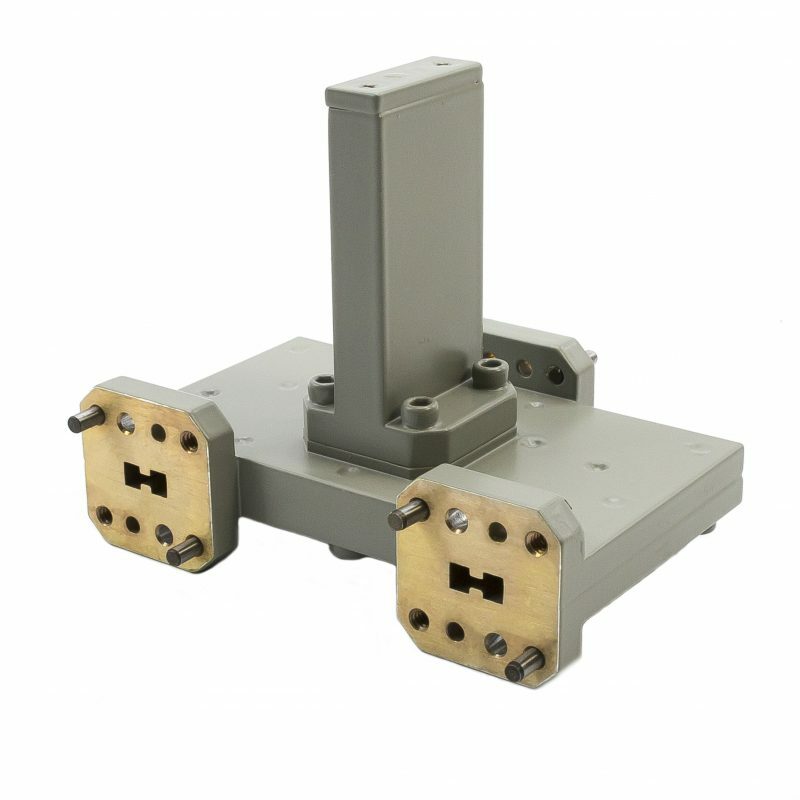 Parts are precision machined to achieve higher Q than electroforming at less cost and with faster delivery. (1) Contact M.E.C. with your specific requirements. Custom components and assemblies are designed, developed, and manufactured under controlled schedules to meet and satisfy customer needs. Our engineering staff welcomes your special inquiries and the opportunity to serve you.